Here I am, again, at the last minute scrambling to put together a fun teacher appreciation gift for my daughter's teacher, and trying to come up with a lovely Mother's Day gift idea for my mom and mom-in-law. I was running errands today and the most delicious looking jams and breads caught my eye! Perfect, I thought! 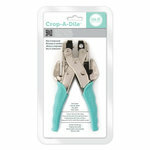 I'll grab these gift sets and the ladies will love them. 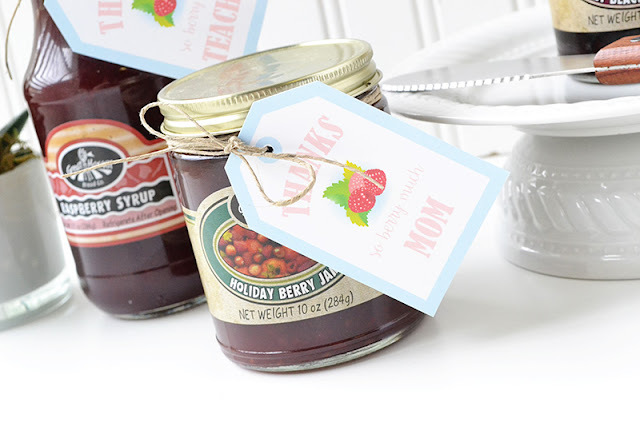 Of course, I can't give these little gifts away without making a cute tag to go along, so...here are a few sets of free printable berry thank you tags for Mother's Day, Teacher Appreciation Day, and just for fun. 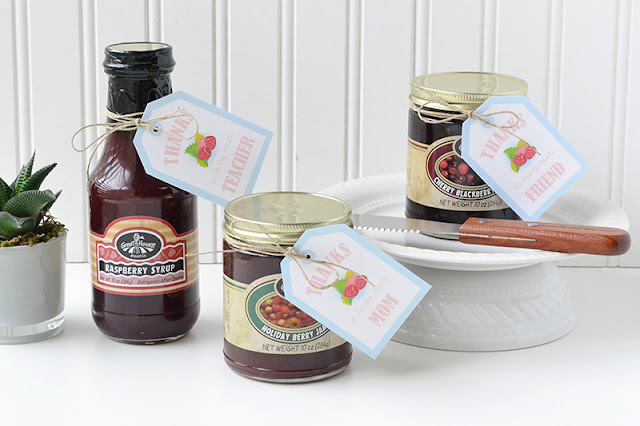 These free printable thank you tags are perfect for berry jam, preserves, or spread, and for a little basket of farm fresh berries of your choice. 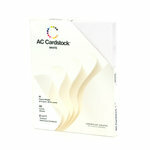 You could also use them for berry flavored soda, berry scented lotion, bath bombs, soap, or shower gel. You can make some for friend or neighbor gifts. 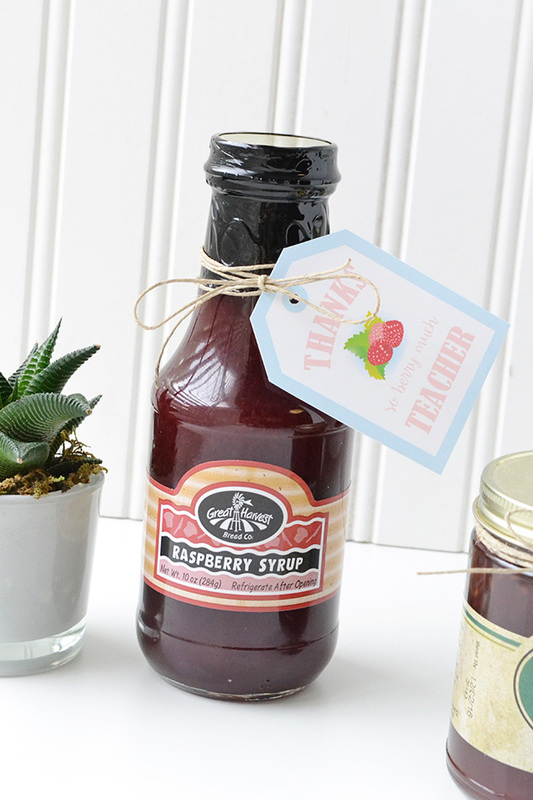 You can make them for teacher appreciation or end-of year gifts. 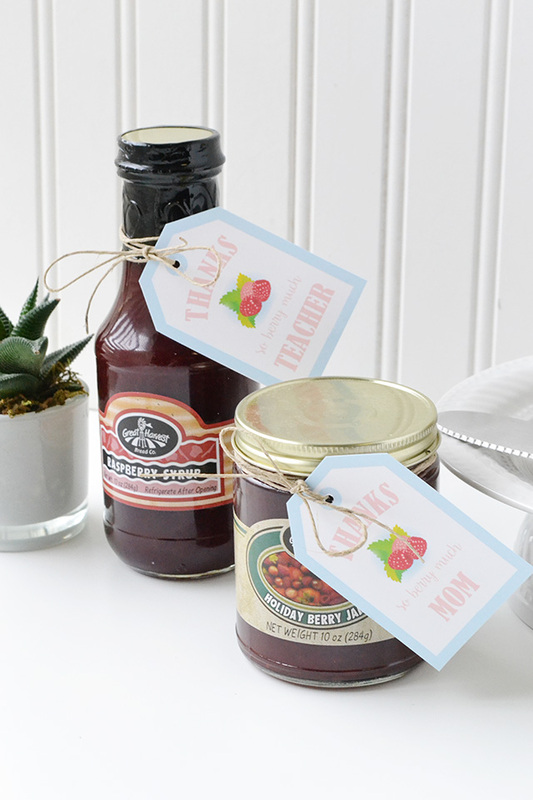 You can also make them for Mom, Grandma or Mother-in-law for Mother's Day. 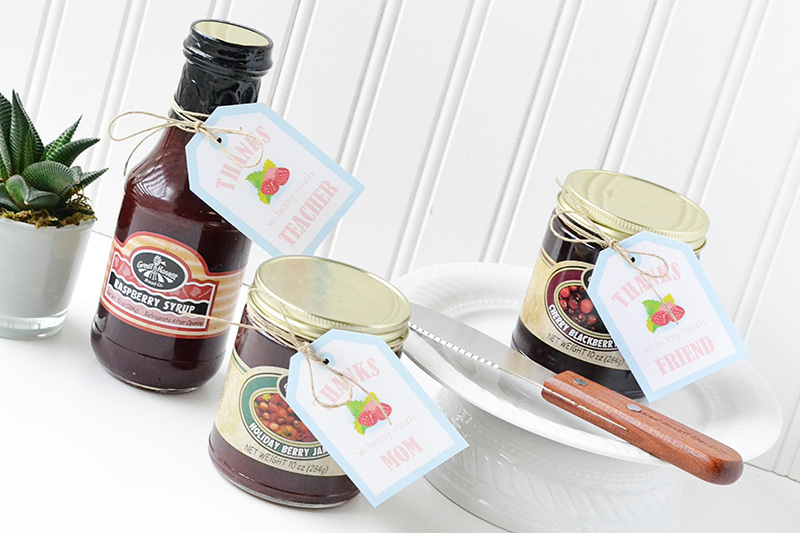 You could even give them a whole basket full of your favorite jams, breads, and other goodies. I hope Mrs. Bittner and the Grandmas enjoy their "sweet" gifts this weekend. 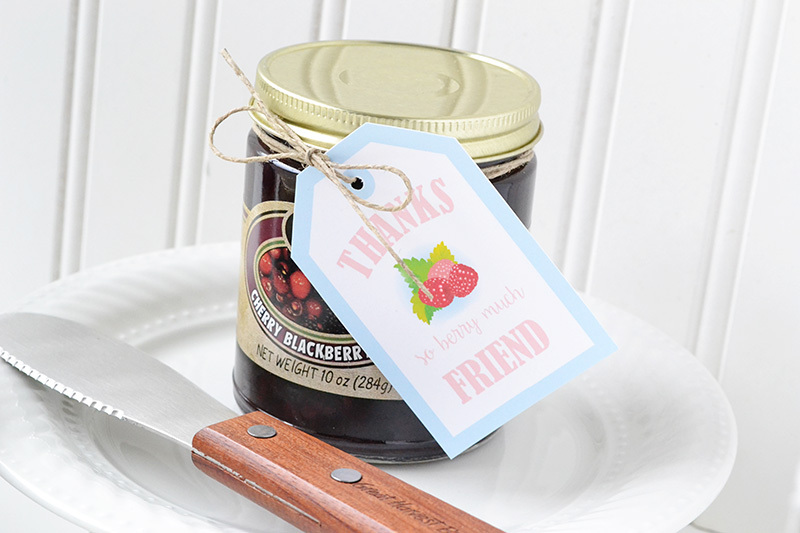 If you use these free printable tags on your gifts be sure to share a photo and link me up. Happy Mother's Day to all the mommies and grandmas out there!